When working with any manufacturing process, a number of defects unique to that process commonly occur. This is true across many processes and industries, including injection molding and high volume injection molding. As we have previously discussed on this blog, there are several common injecting molding defects; however, an injection molder who is vigilant about quality, like our team at The Rodon Group, will be able to manage these injection molding defects, minimizing or eliminating them all together. These six most common plastic part defects can all be traced to one of three sources: the resin or additives used, the injection molding process, or the mold itself. Two common defects caused by issues with the resin or resin additives used during injection molding are delamination and discoloration. Delamination, when a finished part has a layer of flaky material at the surface, hurts both aesthetic of your part and its strength. Caused by moisture contamination of the resin pellets or by other contamination of the melted resin with a dissimilar resin, or by release agents in the mold, delamination is the result of the resin being prevented from bonding. Discoloration is simply when a finished part is a color different than intended. Caused most commonly by leftover pellets in the hopper, too hot of a barrel temperature or leftover resin in the feed zone, the problem can be addressed by thoroughly flushing the hopper and feed zone of a machine in between processes, thus preventing discoloration as a matter of course. 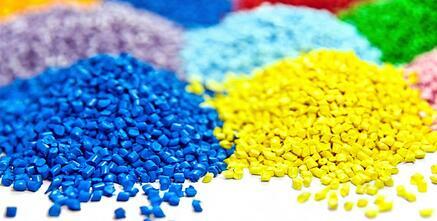 Purging compound can also be effective to remove unwanted color or resin. Despite continual advances in injection molding technology, process-derived injection molding defects still occur. Two of the most common are burn marks and flow marks. Burn marks are surface marks, sometimes advancing to degraded plastic, that are caused by either trapped air which becomes overheated or actual resin that overheats. There are three ways to avoid burn marks: decrease resin injection speeds, which will lower the probability of air becoming trapped; include or optimize venting and degassing systems; or reduce the mold and/or melt temperature. Flow marks are lined patterns, often wavy, or discoloration on a part surface. They are most commonly caused by resin cooling too quickly or improper gate location. In the best case scenario, flow marks can be eliminated by increasing injection speed and pressure, which will help to ensure uniform filling and cooling. In a worst case scenario, a mold redesign with an emphasis on avoiding sudden flow direction changes and gate location may be necessary. 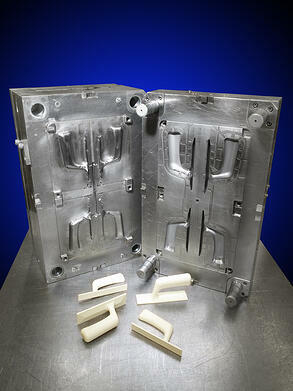 Flash and short shots are two of the more common injection molding defects caused by mold design or maintenance issues. Sometimes known as burrs, flash is the occurrence of thin, wafer-like protrusions on a finished part caused when melted resin escapes the mold cavity. Most common along the parting line or up an ejector pin, flash can be caused by excessive injection speed or pressure, in which case the fix is a simple reduction. More often flash is due to poorly designed or severely degraded molds, in which case a redesign or retooling is required. Flash can also be caused by too high of a mold temperature and excessive barrel heat. A short shot is literally when a shot of resin falls short of filling the mold. It can be caused by attempting to use the wrong resin type or by poor process settings, but is most commonly caused by gate blockages or too small of a gate diameter, a common problem due to too low pressure or not enough heat. If a higher melt index resin or increased melt temperature doesn’t solve a short shot problem, you may need to redesign the runner system to optimize flow. 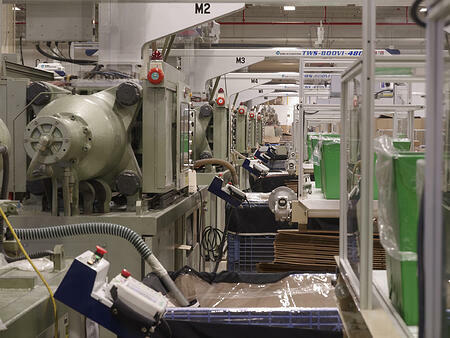 The Rodon Group, a high volume, custom injection molding specialist, has a long history of injection molding. Since our founding in 1956, we have been dedicated to providing our customers with the highest quality injection molded parts available. Today, our defect rate is less than 1 part per million, a number few other large volume injection molding manufacturers, if any, can offer. To learn more about The Rodon Group, including our capabilities and extensive quality control efforts, contact us today.